EAST GREENSBORO, N.C. (Nov. 21, 2018) – In honor of National Alzheimer’s and Caregivers Awareness Month, the Department of Visual and Performing Arts and the Center for Outreach in Alzheimer’s Aging and Community Health at North Carolina Agricultural and Technical State University, present “Dot,” a play confronting the realities of Alzheimer’s disease with humor, dignity and love, for its holiday production. 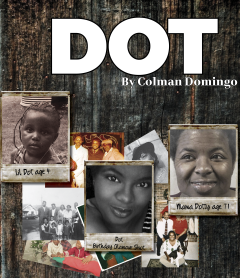 “Dot” is the story of Dotty Shealy and her three grown children who gather with more than exchanging presents on their minds. Dotty struggles to hold on to her memory as Alzheimer’s begins to take its toll. Managing her illness has fallen like a ton of bricks on the shoulders of her daughter, Shelly. This twisted and hilarious play grapples with aging parents and the children who must fight to balance care for their mother and care for themselves. Performance dates, times and ticket information are listed below. Nov. 29 – 30, 7:30 p.m.
Dec. 1 – 2, 3 p.m. and 7:30 p.m.